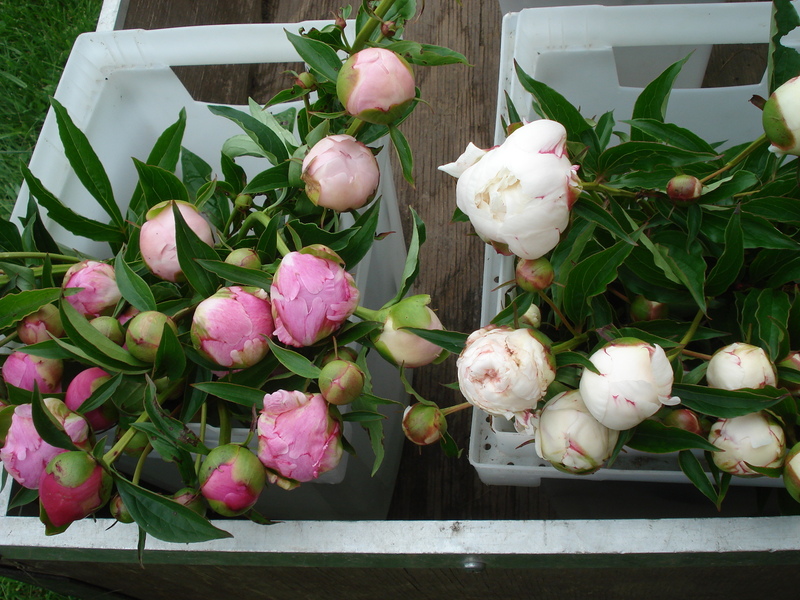 It is the most wonderful time of the year…Peony season. I can’t think of a flower that has more people talking then Peonies. Brides love peonies and want them all summer. Unfortunately their season is short in Vermont about a month or so depending on the year. Last weeks 80 -90 temps just made most of them bolt. But hopefully we will have them for the month of June. We pick ours in tight bud so that you can enjoy the most bloom time.